Read an excerpt of the first two chapters here! 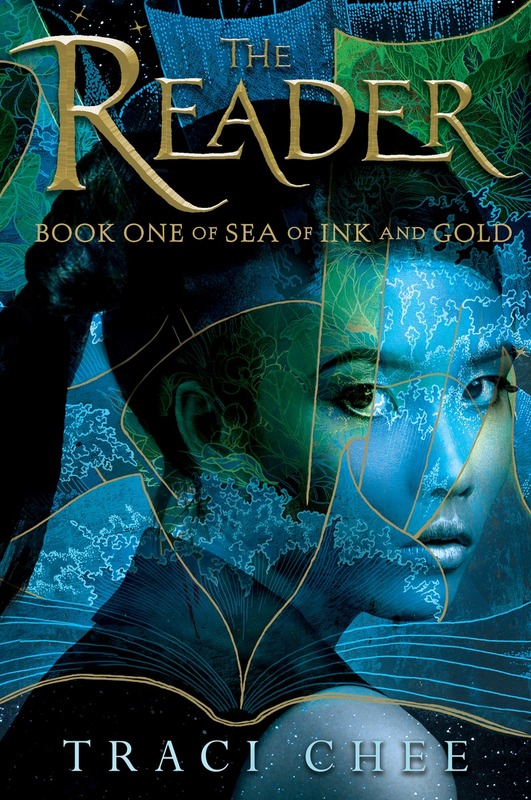 One of the books that I am most looking forward to reading this year is The Reader by Traci Chee. It promises to offer adventure, excitement, pirates, and a story about my all-time favorite thing – books. Imagine my excitement when Fantasy Book Critic was given the opportunity to partner with Penguin Random House and offer a giveaawy that will allow you win a copy of The Reader! A stunning debut set in a world where reading is unheard-of, perfect for fans of Inkheart and Shadow and Bone. Sefia knows what it means to survive. After her father is brutally murdered, she flees into the wilderness with her aunt Nin, who teaches her to hunt, track, and steal. But when Nin is kidnapped, leaving Sefia completely alone, none of her survival skills can help her discover where Nin’s been taken, or if she’s even alive. The only clue to both her aunt’s disappearance and her father’s murder is the odd rectangular object her father left behind, an object she comes to realize is a book—a marvelous item unheard of in her otherwise illiterate society. With the help of this book, and the aid of a mysterious stranger with dark secrets of his own, Sefia sets out to rescue her aunt and find out what really happened the day her father was killed—and punish the people responsible. With overlapping stories of swashbuckling pirates and merciless assassins, The Reader is a brilliantly told adventure from an extraordinary new talent. In honor of the upcoming release of The Reader, which will be out September 13, 2016, I was given a writing prompt and asked to share my opinion on an important topic – a world with no books. The Reader explores a world without reading. What would it mean to you to live in a world without books? I truly cannot imagine a world without books. Ever since I was little, books have always been such an important part of my life that it is difficult to imagine books not being there. Every major milestone I have gone through in life, I remember a specific book – Harry Potter, Shannara, Lord of the Rings, and even Eragon – being there right alongside me. If books didn't exist, I imagine a world without creativity. While there are plenty of other ways to express creativity, I think books help inspire people and help them think creatively. It seems every time a new book comes out that sparks a new generation's love of reading and that in turn sparks their love of writing, which turns into more books – some of which may become timeless classic. It almost makes me sad to imagine the stories people would like to share and pass on to people that wouldn't get to be shared/passed on because of the simple fact books are missing. A lack of creativity isn't the only thing I envision happening without books. I foresee considerable problems. Books and the stories they tell help people think critically about situations that they may never have encountered before. Books aren't the answer to all the world's problems – I wish they could be! – but they do help teach communication skills, critical thinking, and problem solving; all of which prove invaluable. I am glad I don't live in a world without books. Books have proved to be helpful in relieving stress, helping with anxiety, and taking me to magical places that I could have never imagined. Now it is your turn! 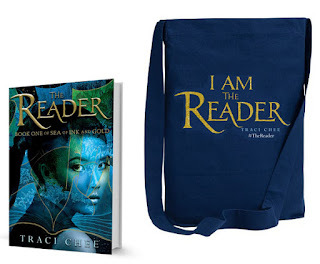 There is an opportunity to win a copy of The Reader and an awesome tote bag that allows you to show the world you are a reader. 1) Sefia lives in a world without books. What are the books that you absolutely could not live without? 2) The Reader explores a world without reading. What would it mean to you to live in a world without books? 3) Sefia’s clue to finding her lost family lies in a book. How have you found a family through books and/or through being a part of the online book community? Answer one or all three in the comments below! Please note you do not have to answer to take part in the giveaway, but it would be nice! 1. Giveaway is open to US addresses only. 2. 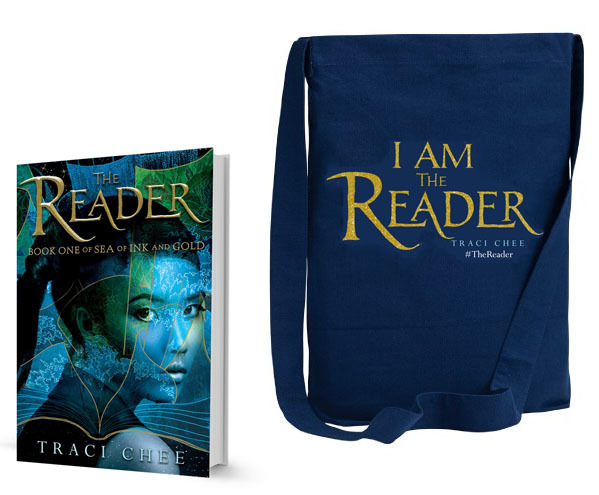 One winner will be chosen at random to win a copy of The Reader and a tote bag! 3. Only one entry per person. Duplicate entries will be provided. 4. Contest begins August 11, 2016 at 12:00 a.m. EST and will run until August 20, 2016 at 12:00 a.m. EST. 5. To Enter answer one of the writing prompts in the comments and then send an email to fbcgiveaway@gmail.com with the subject THE READER. Please include your name, email address, and physical address. (commenting on the post is not required for entry, but would be appriciated). 6. All entries will be deleted at the end of the contest when the winenr has been picked. I could not live without Tolkien's The Lord of the Rings. I go back to it year after year and always find something new and have appreciated it in different ways over the years. It's the story I most cherish. The world would be a dull place without books. Reading opened my eyes to other cultures and languages, to new experiences, and to other worlds. Reading has inspired my travels. The added bonus with sci-fi/fantasy is that the genre can explore current issues and difficult issues in ways that might be harder to digest in genres without that "what if" characteristic. Even the impossible is possible in sci-fi/fantasy, and it has taught me to think beyond what might be reasonable, keeping me open to possibilities. My father always encouraged me to read. My parents usually have their noses in books. Books are part of the family. They are treasured. When I chat with people online about books, whether in a forum or in my book group, even if we have differing likes in genres, there's a connection. Book people grok one another in a basic way, and they are therefore family. Just thinking about this briefly brings up many questions. If there are no books then your society would have to stay close together to communicate. It would be difficult to "stand on the shoulders of giants". How would society progress? If by no books you mean no writing then I would think society could not progress beyond an agrarian society. Interesting thought experiment. People would have to be afraid of books to keep them from creating their own books. 2) A world without books ... I would have to get my fix for stories in some other format, like an oral-based society. People will always communicate in some format to share our past, present day news, and our dreams for the future. There are so many books that I could not live without that I would need a library. Which books I could not live without honestly depend on where I am emotional. If I didn't have access to books, then I would create my own stories. Which I sometimes do anyway even when I have a book to read. And my love/addiction of reading came from my mother. I don't know anyone else in my family who reads as much as she does; however I have found people on line, who are not family, but definitely keep me in books and motivation. Some books I could not live without are SHATTER ME by Tahereh Mafi, and I'LL GIVE YOU THE SUN by Jandy Nelson. It's so hard to choose any one particular book that I couldn't live without, because I'm currently doing the "Let's see how many bookshelves I can fit in a one-bedroom apartment" thing. Reading while taking bubble baths is how I decompress, so I think I'd be incredibly stressed out and frantic without them. Ever since I was little I have loved reading, so a world without books would've meant a sad and boring childhood for me. Now that I'm all grown up, I teach first grade. How can I teach first graders to read and to love reading without books? A world without books is not one that I would want to live in!